Here we have the question "where to buy dates?" There are many options to buy dates. Let's check out this question! Question: I tried your chocolate silk smoothie recipe. Very Tasty. I used dried dates. Are the dates used in your chocolate smoothies fresh or dried? If fresh, where do I buy dates? Answer: Well, I usually use the freshest dates that I can buy here in Northern Minnesota. :) I have gone to great lengths to get my dates. One time I actually bought 25 pounds from a date farmer. I met him at the farmer's market on a California trip of mine. 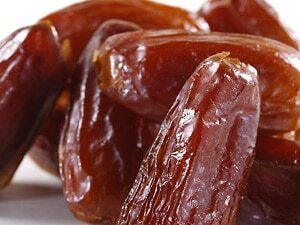 But I have now found some great low prices on pitted dates at NutsOnline.com. Chopped dates (dried version) are also available, if you need to save money. I hope that this helps answer your question!